Having been an army officer for more than 18 years, Jakob Buus Madsen’s first mission in the army has inspired his ever-growing desire for art and collecting. 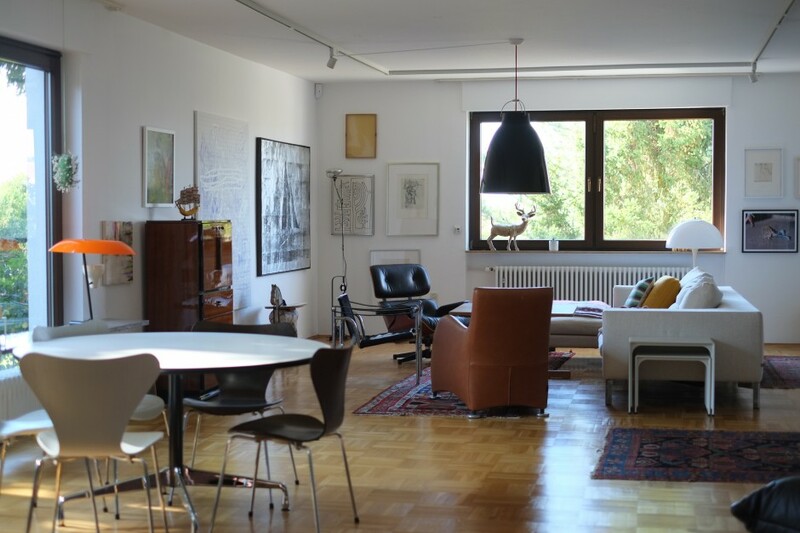 With his German wife and his Danish background, the collector couple are especially drawn to Danish and German artists. Jakob Buus Madsen has also shared with Larry’s List his journey from collecting pop art to abstraction, which artwork he would never let go and how Instagram is important for him as a collector. Jakob Buus Madsen. Courtesy of Jakob Buus Madsen. I have been an army officer for more than 18 years. Many years ago, when Denmark started to engage in a more active foreign policy I was deployed on my first mission in a crisis area. When I came home I felt that I needed something else, something different to focus on. After some time, I found art and it has been a passion ever since. The whole process. I think about art many hours a day – I think I am an art fanatic! I use skills I have learned in the army. Analysing the environment, finding the right objective and decide on a course of action to seize that objective. The objective here is the artwork. And then the satisfaction of getting that piece. A work by Wolfgang Voegele. Courtesy of Jakob Buus Madsen. You get so much information from galleries and social media platforms, I fall in love all the time. Unfortunately, my wife and I have a limited amount of money that we can allocate to art, so we need to focus and try to select the works that we buy. However, at times I am also impulsive and buy a piece that in theory I cannot afford. The latest example of this is a fantastic paperwork (red phosphorus on paper) by Thomas Wachholz from Natalia Hug in Cologne. A long-time love is the work from the German artist Wolfgang Voegele. 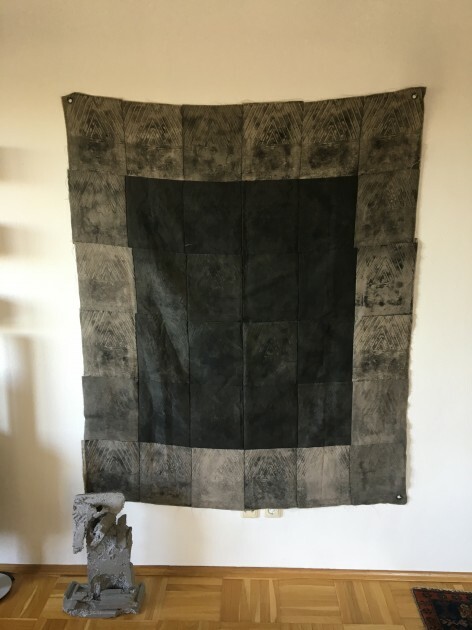 We have followed him and his development for a long time and we were very fortunate to be able to buy a larger work from his solo at gallery Sunday-S in Copenhagen this summer. 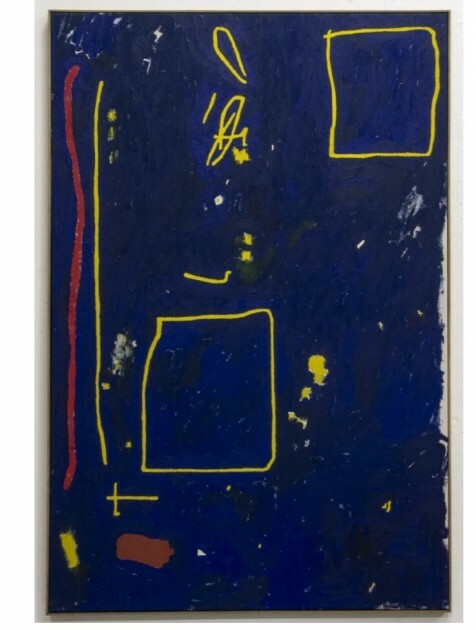 At the moment I am very interested in Ewan Robarts Mob’s paintings. My focus has shifted over the last years, from figurative to abstract. Besides paintings I am now also more and more into sculptures and ceramic. What is unique about our collection is the mix. My wife has for many years collected drawings and etchings from around 1900, so our collection has a lovely span that challenges your mind and eyes. I am focusing on artists that have just gone through their first developments as an artist. At an even earlier stage I personally think that you need a lot of experience to find very good artists, a skill that I do not possess. I do listen to friends, fellow artists and gallerists (most of the time), and also discuss things with my wife as she sees things with different eyes. A piece by Dan Schein at the centre. Courtesy of Jakob Buus Madsen. Why are you more focused on Danish and German artists? Do you think one’s cultural background affects predominantly its collecting practice? 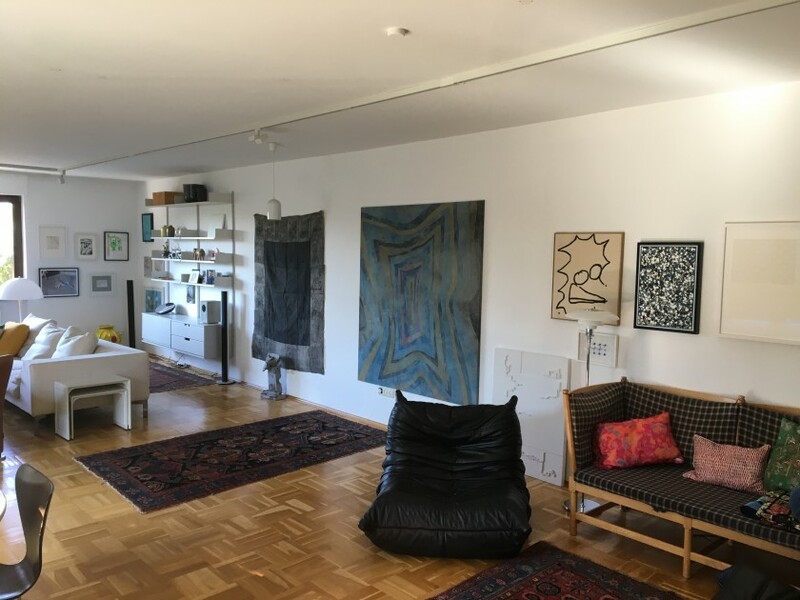 Firstly, our cultural background – I am Danish and my wife is German –brought about that we were exposed more to art from these countries than others, so there were more opportunities to get to know Danish and German artists. So by building up networks and having a better overview of developments in these countries, I am also becoming aware of emerging artists from Denmark and Germany earlier than from other countries. But we also own art pieces of artists from the US, Belgium, Italy, Iceland etc. Regarding contemporary art it is actually quite interesting to look back at pieces that I bought many years ago in comparison to what I focus on now. It has taken many years to develop a consistent line. Your reception and taste change and I can see that in general I have been more attracted to abstract and less figurative art over the last years. Jakob’s art-filled living room. Courtesy of Jakob Buus Madsen. It was a pop art painting by a Danish artist. I still have it and still look at it regularly because it shows me how I have developed. We have never counted but likely over 100. We display it in every room in our house in Germany and vacation home in Denmark. A work by Nils Bleitreu. Courtesy of Jakob Buus Madsen. Have you ever presented/would you wish to present your art collection publicly? No, and no. To me, art is something that I have together with my wife and hopefully later with my children. But maybe I will change my mind in a decade or two. I try to follow my heart. But I am also influenced by others. I follow other art lovers on Instagram and Artland and try to understand the trends of tomorrow and discover new artists. 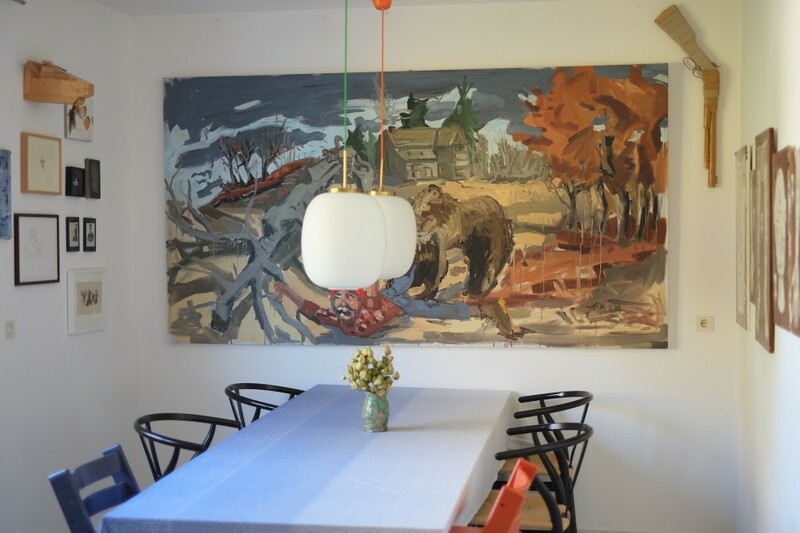 Collectors like Claus Busch Risvig, Peter Ibsen and Torsten Butzen are excellent to follow on Instagram because their art span is much wider than mine. From the left: Asger Dybvad Larsen, Pierre Knopp, Wolfgang Voegele, Jan S Hansen, Robert Longo. Courtesy of Jakob Buus Madsen. I love them all. However, I have an older Jan S. Hansen work that I would never let go. How important is it for you to meet the artist who created the artwork? It is not important. We have works from Wolfgang Voegele, Rasmus Styrmer, Asger Dybvad Larsen and Albert Grøndahl, and I have never met them. But I do try to meet the artist and also visit the artist’s studios whenever possible, and these experiences have always been fantastic. 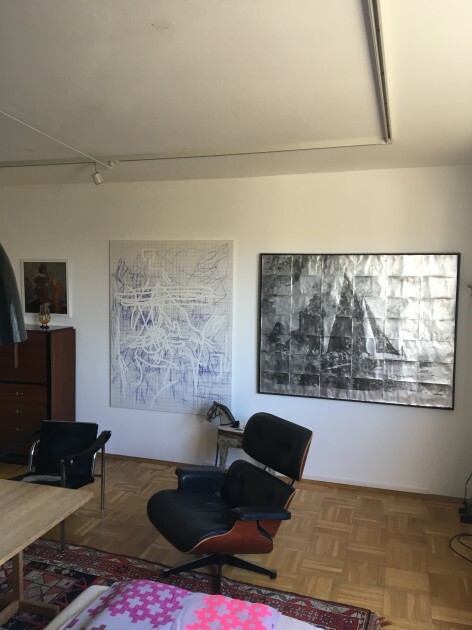 Artworks from left: Huskmitnavn, Keith Vardi, Peter Holst Henckel. Courtesy of Jakob Buus Madsen. Your Instagram is full of artwork images. Do you think nowadays Instagram has become a necessary tool of art collectors, either to discover art or to share their collections? I use Instagram but not “professionally”. It is a way for me to connect to other art fanatics, and to get to know new artists and artworks. It shortens the distance and all are equal, and only art is in the focus. How and where do you usually meet other collectors, what do you exchange with one another? I love to meet other art lovers. However, due to my work, I am currently not much at home, and it is difficult to fit in art events. For me, Instagram is perfect, as it provides a platform where I can connect with others with the same interests. I do miss going to vernissages at galleries, but this will come again. I am very fortunate that several galleries are keeping me in the loop. 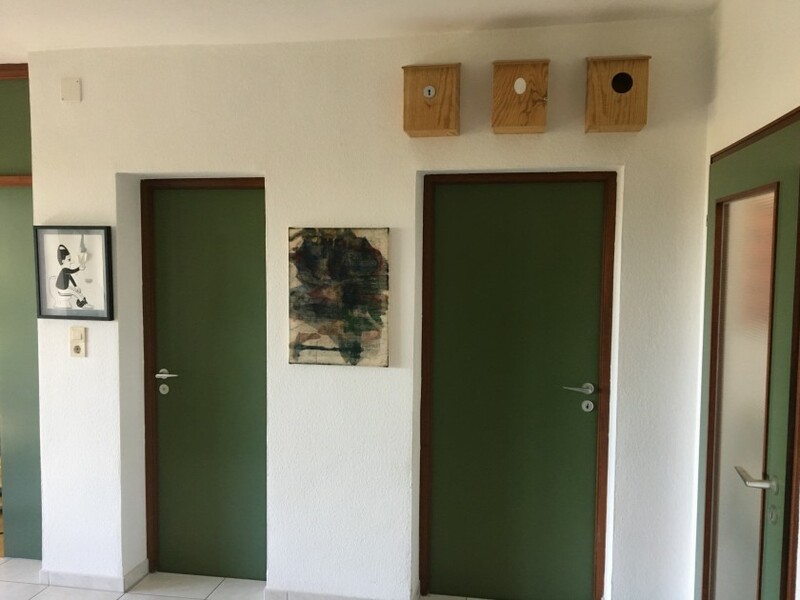 Artworks from left: Jana Schröder, Albert Grøndahl. Courtesy of Jakob Buus Madsen. Who inspires you the most in the art world? Jacob Bjørn from gallery Jacob Bjørn. We were conscripts together in the Army many years ago and he has built up a fantastic gallery outside the Copenhagen art scene displaying national and international stars – a great achievement and well deserved. Can you name some emerging artists who should be on our radar? Albert Grøndahl, a Danish photographer, who is using antiquated techniques to create incredible works on gold- and silver leafs. 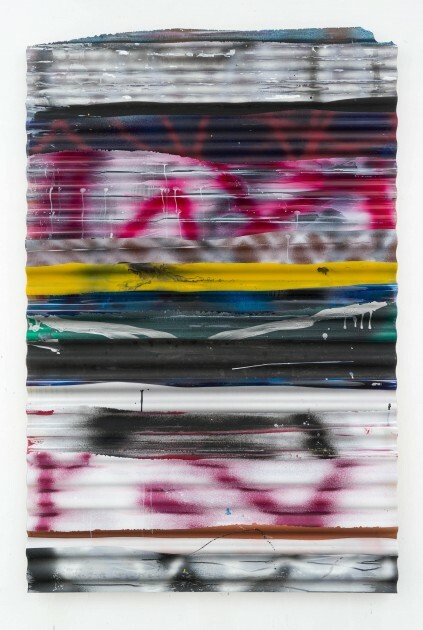 Nils Bleibtreu, a Rheinland artist, who works with plastic roofing and car paint. He is also thinking about exploring sculptures. Pierre Knopp, also a Rheinland artist. He works with oil paint and crayon and has undergone a tremendous development in the last year. 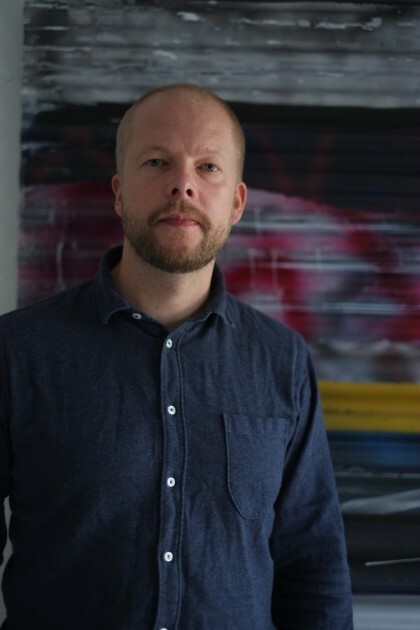 Kristian Kragelund, a Danish artist working with tar, chalk, and other building material. 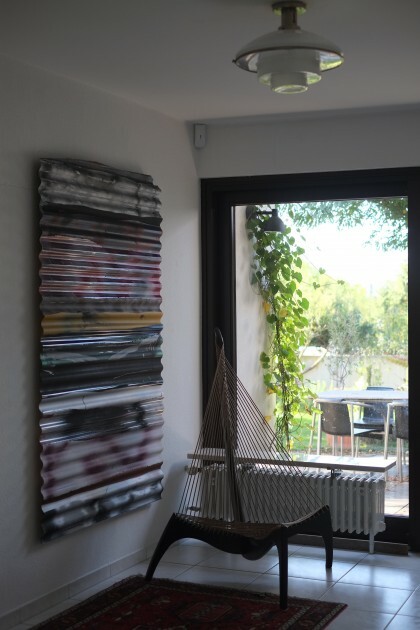 I also have to mention Karoline Dausien, a German artist, who is creating very interesting sculpture-like objects for hanging up on the wall. What fairs have you attended this year? Which are your favourite and why? This year we unfortunately only made it to Art Cologne. I usually go together with my wife and children, and we try to fit in two to three fairs a year. I have always been very fond of the fairs in Copenhagen, and I think CHART and CODE display very good art in a really nice atmosphere. An artwork by Asger Dybvad Larsen and a sculpture by Theis Wendt. Courtesy of Jakob Buus Madsen. Nils Bleitreu’s work by the window. Courtesy of Jakob Buus Madsen.